Soccer is by far one of the most popular sport in the world. As we all know, the basic soccer equipment list for every player consists of items like cleats, shing-guards, soccer jersey, shorts, and socks. All are equally important, but today we will discuss about soccer socks. If you practice this sport, you know that a good pair of socks are meant to absorb the sweat on your feet and to provide comfort, protection, and support. But which are the right ones for you? Lucky for you, we’ve put together a complete list. 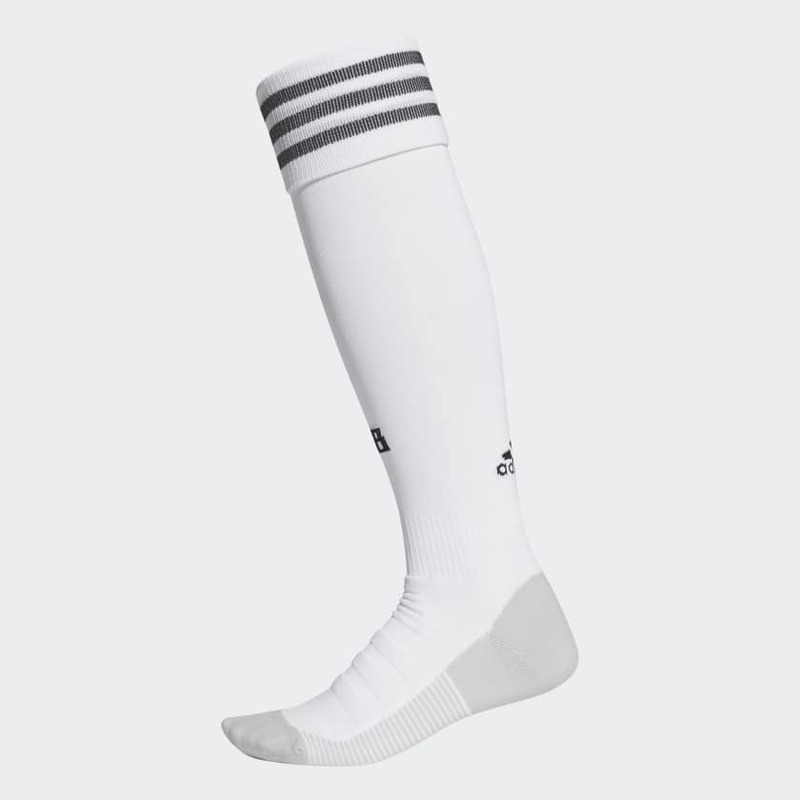 Created using a mix of 68% polyester, 28% nylon, and 4% elastane, these white soccer socks by Adidas deliver excellent support to the legs while reducing the chances of blister formation. The Climacool technology keeps sweat away, while Techfit technology ensures a snug fit. Moreover, the anatomically placed cushioning is responsible for most of the comfort the socks provide. 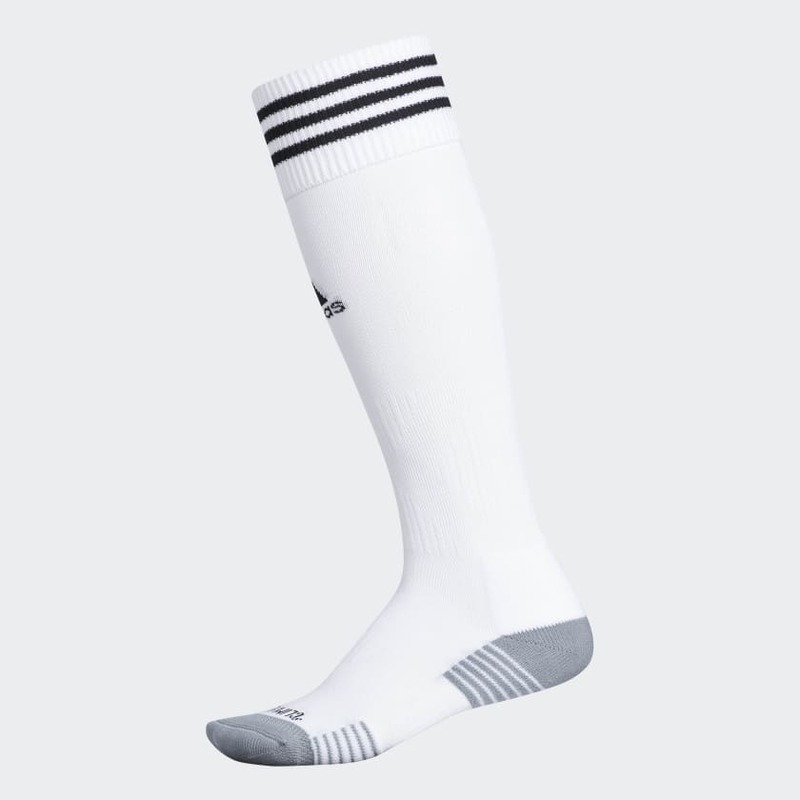 Available in a plethora of colorways, these men’s soccer socks by Adidas are perfect for both beginner and advanced soccer athletes. The socks’ lightweight fabric wicks away sweat while keeping your feet dry and cool in every condition. Providing great comfort and support, they feature well-cushioned footbed that shelters the feet from impact damage. The dynamic arch support provides a secure fit, while the material composition is 98% nylon and 2% elastane. 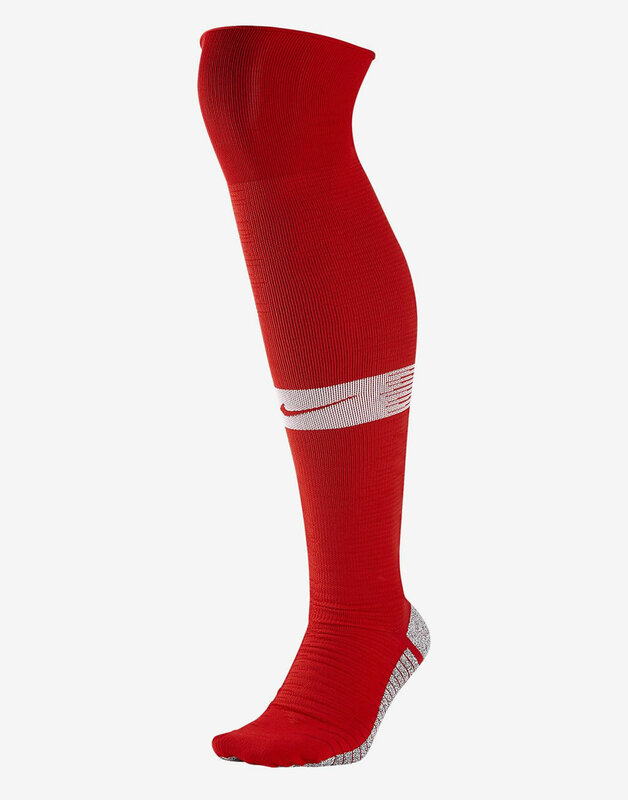 The NikeGrip Strike Over-the-Calf soccer socks keep your feet dry and cool, thanks to the uniquely engineered Dri-FIT technology. 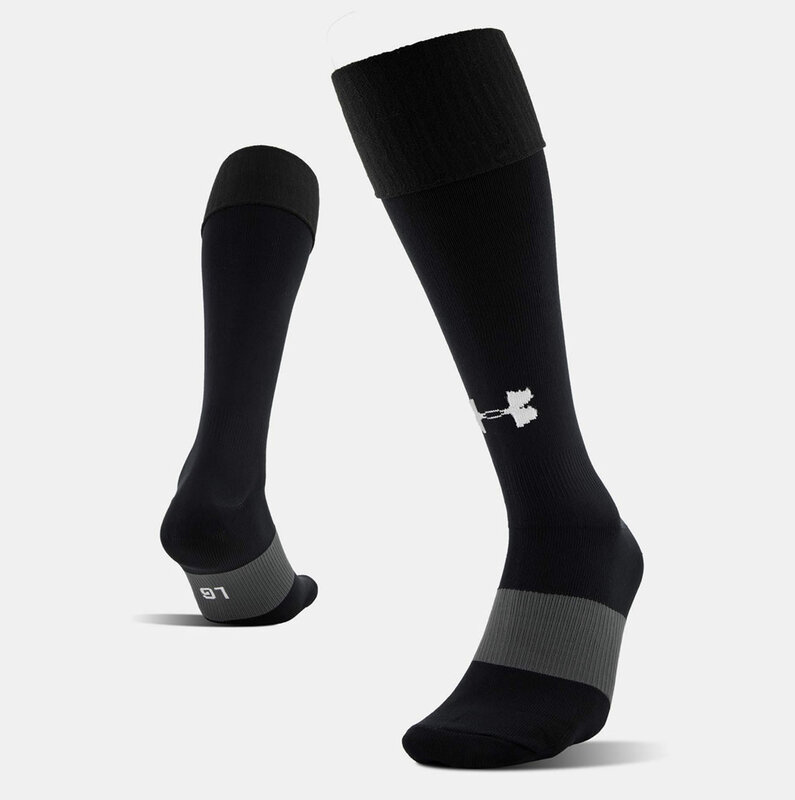 Flaunting a material composition of 49% polyester, 40% nylon, 5% cotton, and 6% spandex, these Nike long soccer socks incorporate a heel lock system that guarantees a snug and secure fit, as well as Left/Right technology, which supports a true anatomical fit for each foot. 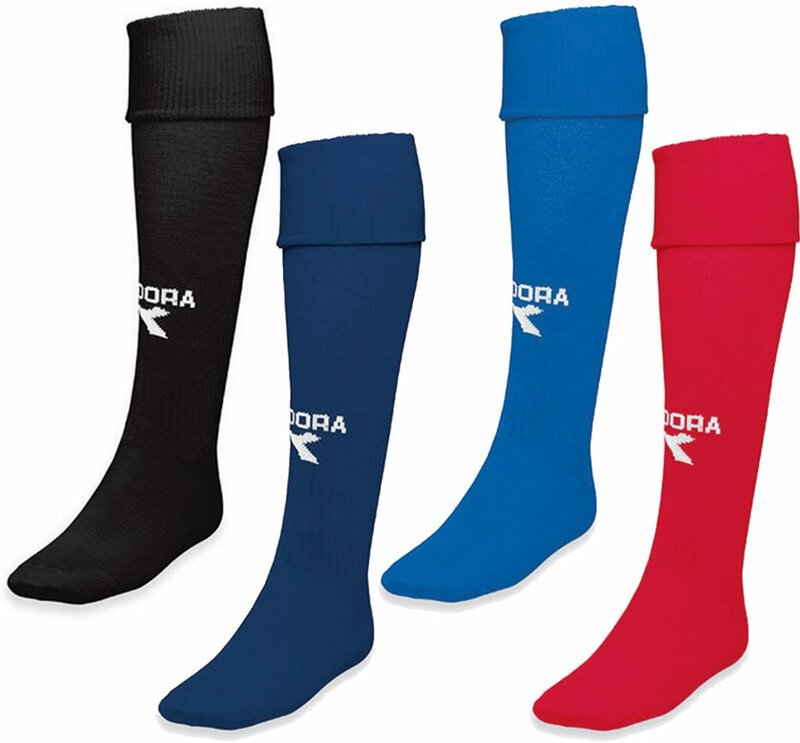 The Diadora Squadra is a lightweight pair of socks for all levels of play. It comes equipped with ribbed arch support that reduces foot fatigue. 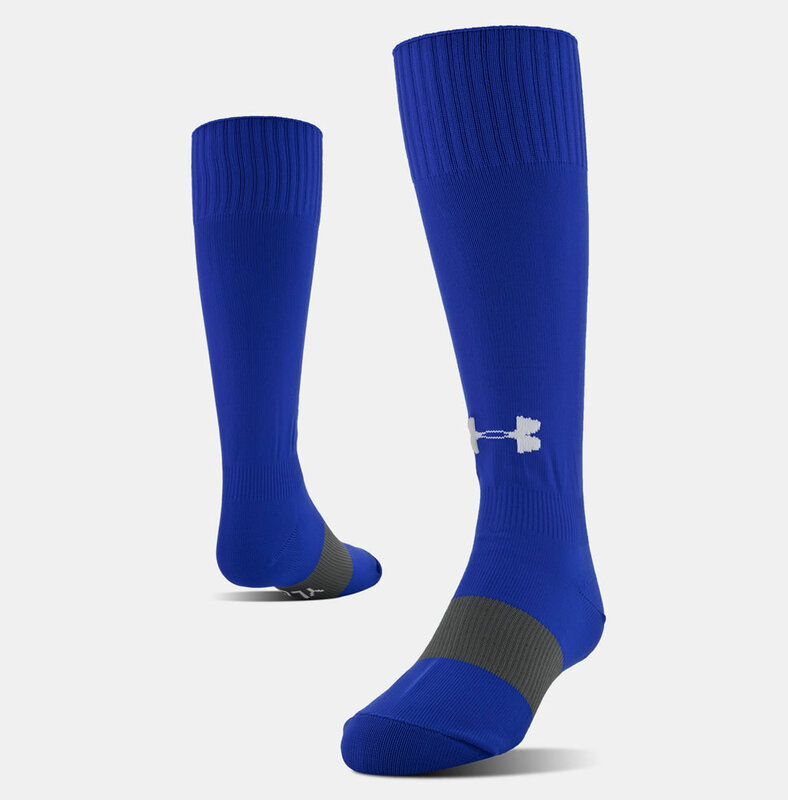 The fabric features moisture wicking properties that pull sweat away from the skin and prevents the growth of odor-causing bacteria, while the sock’s ankle compression design provide an increased stability. The material composition is 60% polyester, 30% nylon , and 10% spandex, and available colorways include Red, Pink, Yellow, Navy, Purple, Forest, Orange, Maroon, and Black. The UA Soccer Solid Over-The-Calf is an awesome soccer sock with a comfortable fit, awesome traction, and exceptional durability. 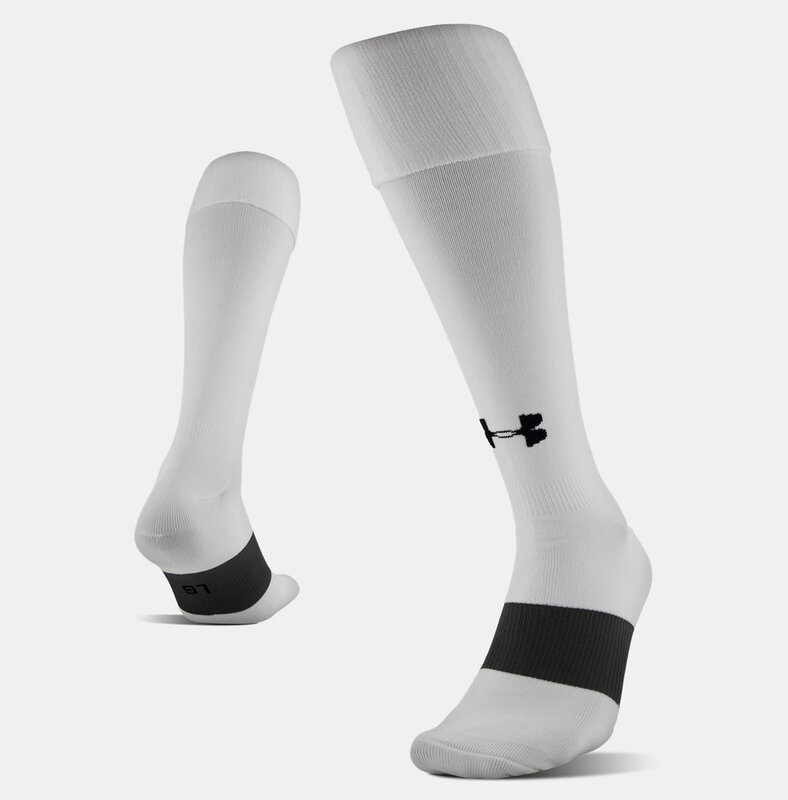 Made with a combination of nylon, polyester, and spandex, these Under Armour soccer socks feature anti-odor technology that stops the growth of odor-causing microbes, as well as strategic cushioning, which offers great protection of the high-impact areas of the feet. Made out of 96% microfiber nylon and 4% spandex, these Reebok soccer socks are sturdy, stretchy, and soft. Their knee high design enhances stability, while the reinforced heel and toe provide performance comfort and impact protection on the field. Moreover, they ensure superior moisture management, and they help prevent blistering. 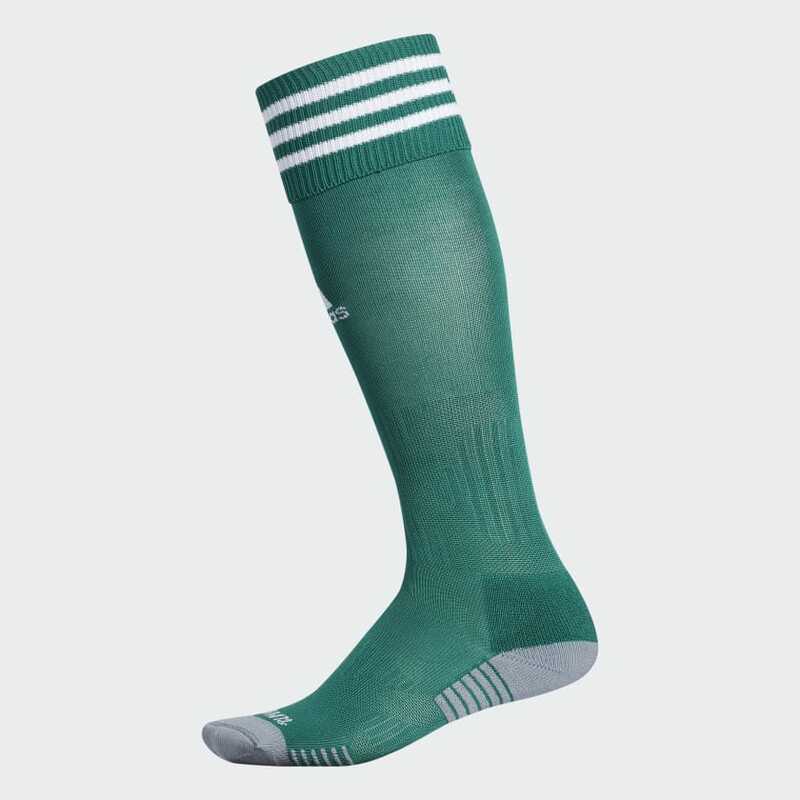 Available for men, women, and youth, these green soccer socks from Madsportsstuff boast a heel/toe design that enables a perfect fit, as well as Infused Alphasan Antimicrobials technology that eliminates all types of bacteria and odor. Made out of 77% polypropylene, 17% nylon, 3% elastic, and 3% lycra spandex, they give you great moisture management, keeping your feet dry and cool. Last but not least, they have a shaped compression on the ankles and arch that delivers great stability and maximum comfort. 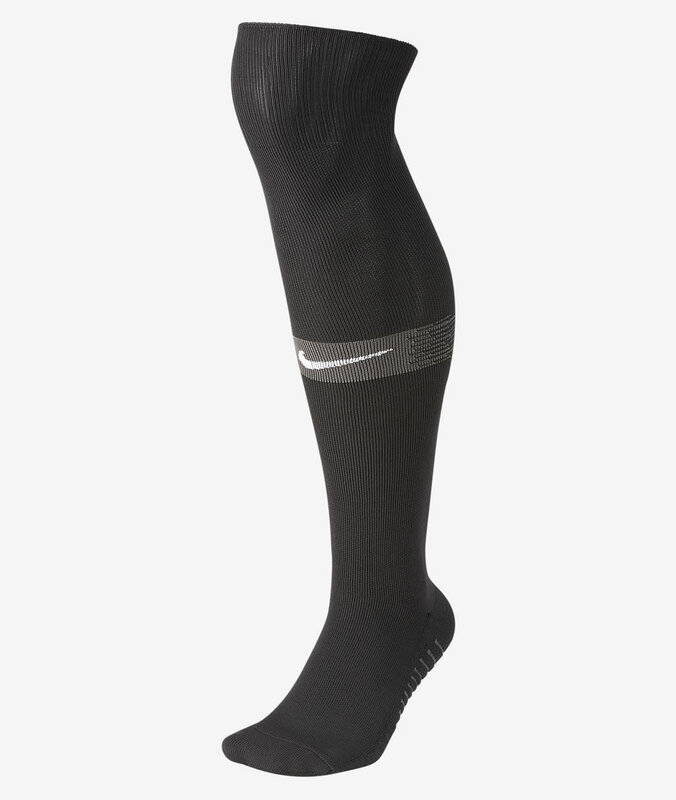 These over the knee soccer socks by Nike come with advanced gripping yarn that delivers traction inside and outside the sock. They were created using a mix of 84% polyester, 9% nylon, 7% spandex, and they feature multi-density cushioning that protects the foot’s high-impact areas. Moreover, right/left design ensures extra comfort, padding, and an improved fit. 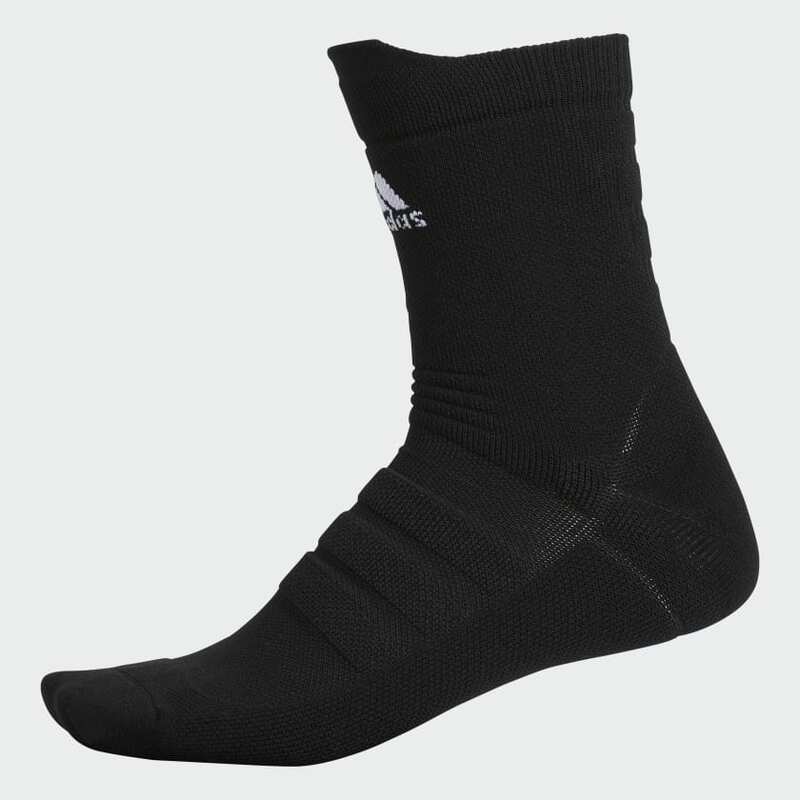 The Alphaskin Lightweight Socks by Adidas is made out of 63% nylon, 29% polyester , 7% natural latex rubber, and 1% spandex, a combination that gives you the ultimate fit. Boasting a bold design, they have targeted cushioning that helps you with shock absorption while improving your performance. 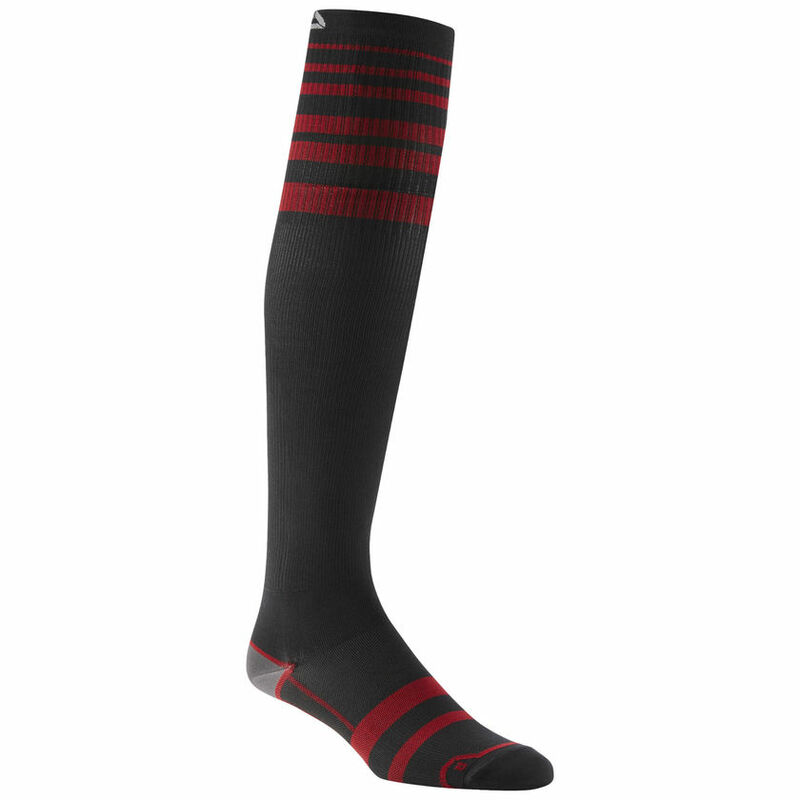 They also feature arch compression that reduces fatigue, helping you perform at your best. 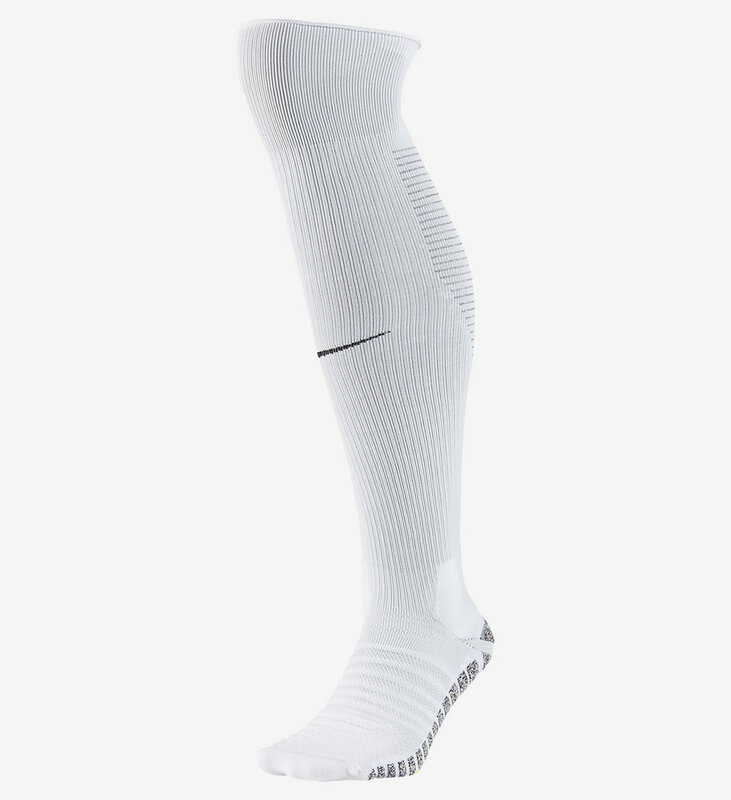 The Nike Squad OTC soccer socks come with an ultra-high loft cushioning system that provides protection for the ankles, while extra dense cushioning shelters the feet from impact damage. 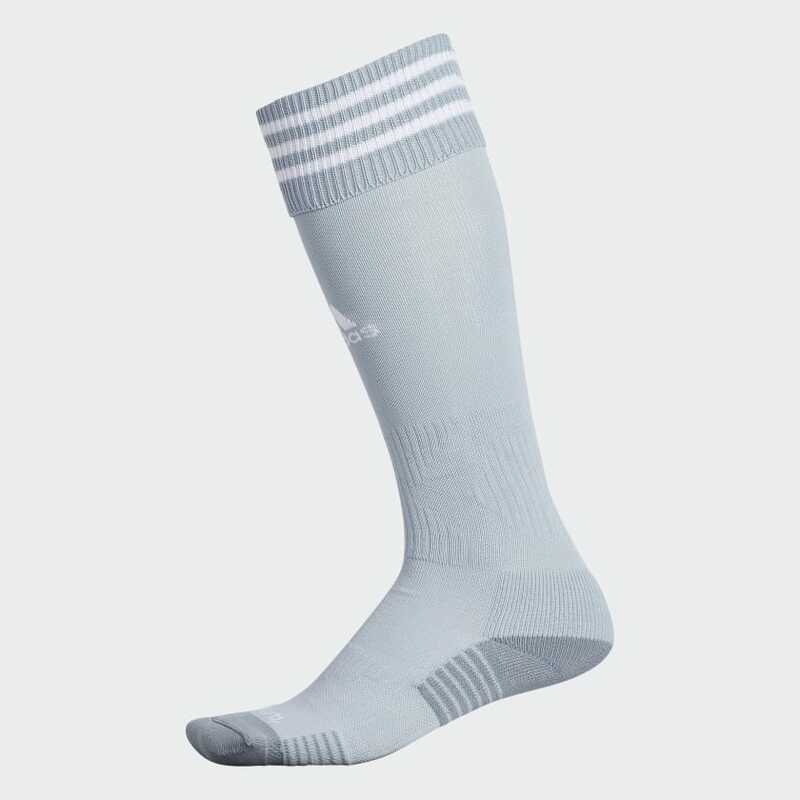 Designed to allow the wearer to move freely, these socks were created using 42% polyester, 36% nylon, 16% cotton, and 6% spandex , and their fabric boasts built-in sweat-wicking properties that promote comfort and dryness. Here you can choose between cotton or synthetic materials (polyester and spandex). Synthetics like polyester and spandex are great materials that wick sweat away from the body while providing an excellent fit. Cotton is also a good choice, but you need to know that it is not too breathable – and this can be problematic during summer. Most of the socks are a blend of these two materials – just be careful at the ratio of synthetic materials and natural materials. It may vary depending on the temperature or preferences of each. The crew cut soccer socks offer you more freedom of movement, while the knee-high soccer socks provide you support to key areas and minimize the risk of blisters, which is always nice. Even if the socks were designed to deliver an ideal mix of comfort, quality, and performance, it is important that they are the right size. Otherwise, you will not be able to take full advantage of these features. You just need to wrap the socks around a fit that is tightly closed in order to find the right size for you.